Volumize hair extension shampoo has been specially formulated to gently cleanse the hair whilst replenishing moisture. 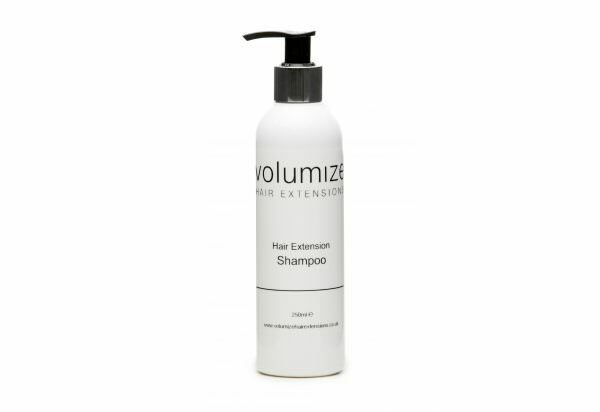 This shampoo is to be used in conjunction with Volumize hair extension conditioner. Sodium Chloride, SLS, Paraben and Fragrance FREE. Please note: Our 100ml bottles are a slightly different design and do not have a pump lid, instead they have a chrome screw lid. Photos to follow soon.